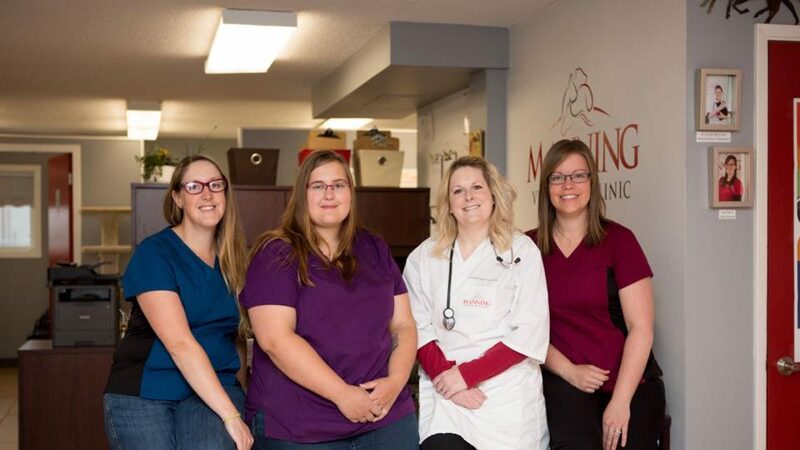 Your pet is always welcome at Manning Veterinary Clinic’s spacious boarding facility! When you’re away your pet deserves a safe, comfortable place where staff provides a friendly and relaxed atmosphere for your cats, dogs, and other small animals. 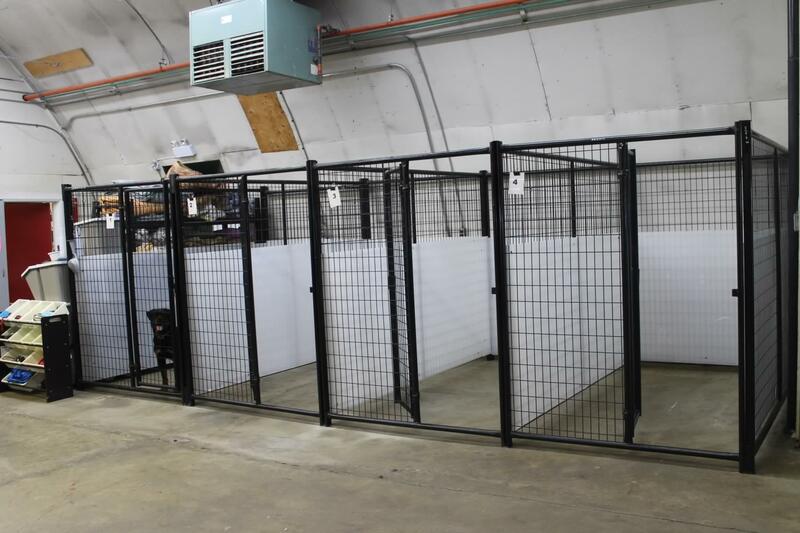 The boarding kennel features 12 large indoor kennels and outdoor runs. If your family has multiple dogs, they may stay together in the same pen, which are quite spacious. 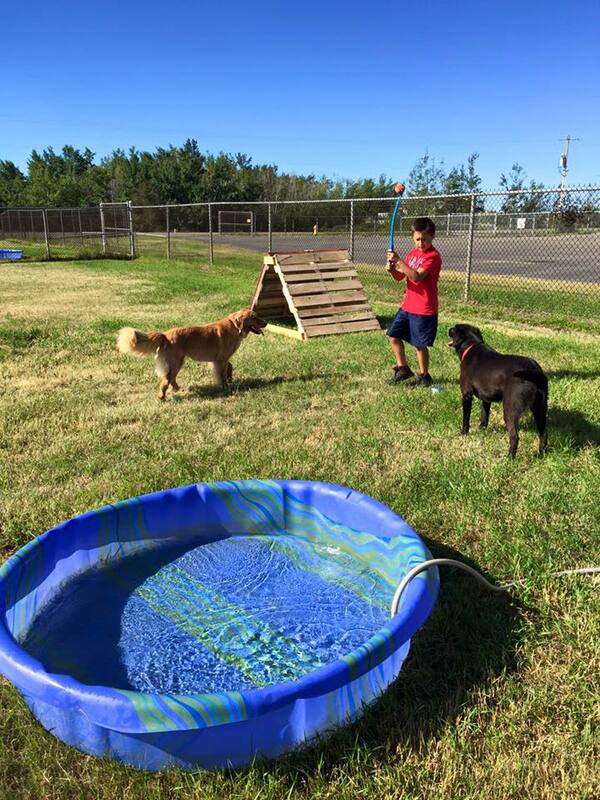 If your dog is strictly outdoor we have some outdoor facilities as well, weather permitting. We want your pet to be as comfortable and at ease as possible. All pets spend the night in a clean, comfortable environment. Weather permitting, pets will be outdoors during the day where they will have access to shelter and shade, swimming pools, and toys. During the winter when temperatures are colder, pets will be walked or turned out at least 3 times a day. Health care is provided to all pets as needed. 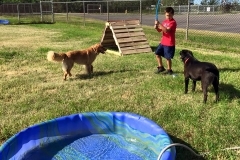 The kennel also offers baths, grooming, and nail trims. We feed all boarding guests premium Purina Veterinary Diet food, however if your pet has special dietary requirements or prefers their own food, we encourage you to bring it with them. Reservations are required for your pet’s stay with us. Animals may be picked up or dropped off during our regular business hours, 8:30-5:00. If you require an after-hours drop off or pick up, we will do our best to accommodate you for an additional fee. 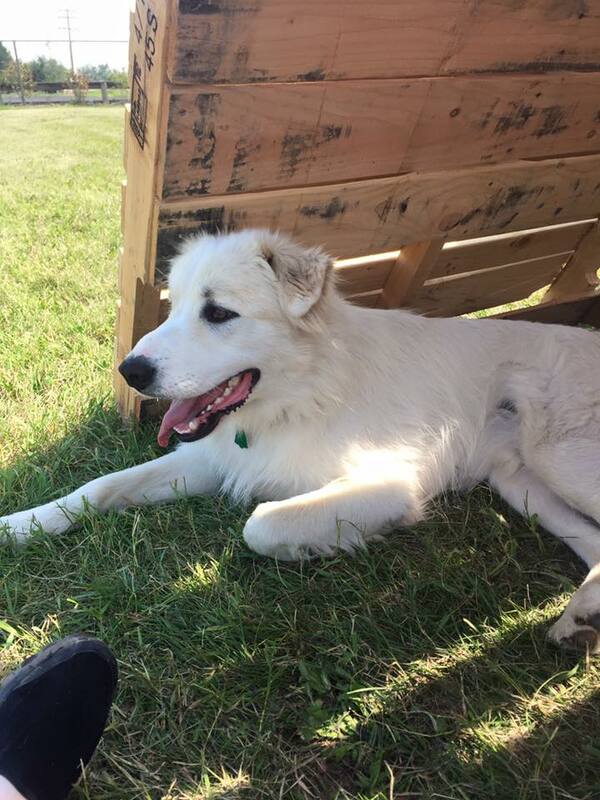 Please call us at 780-836-3770 to book your pet’s stay or to request pricing information. Owners are welcome to bring their pet’s food, bedding, and toys, but all of these will be provided and are included in our boarding fees. We have 5 indoor kennels to board cats. When opportunities arise, we ensure the cats get to cuddle and have some time to roam freely in the Cat Room. We do not allow cats outdoors during their stay. 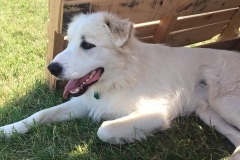 We do not recommend boarding a puppy or kitten that is less than 4 months of age. Before this age, animals are not considered fully vaccinated and they may be at a greater risk of contracting diseases. Consider keeping your puppy or kitten with a family member who you know has dogs or cats with up-to-date vaccinations. In the chance that you must board your puppy or kitten with us, we will keep them segregated from the general population – this is done for their own protection and well-being. Why leave your pet with us? 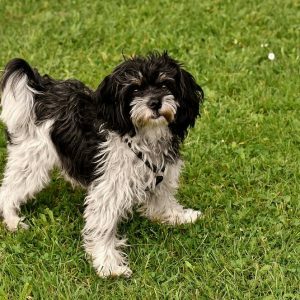 One benefit to leaving your pets with us is that they are in constant proximity of the veterinarian and can receive immediate care if an emergency arises. If one of our staff notices a health problem with your pet she will notify the doctor. Dr. McCracken will then notify you, or your designated contact, and request permission to provide treatment. 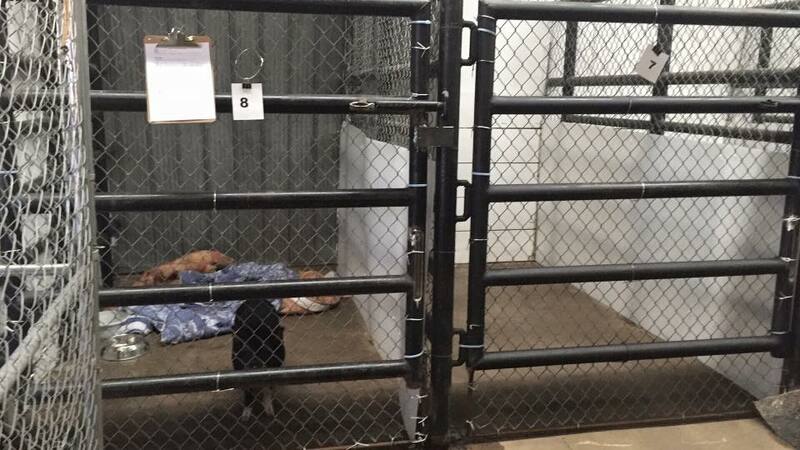 If you, or your designated contact, are not reachable despite our best efforts, Dr. McCracken will provide treatment at your expense as it would be unethical to leave an animal untreated. Please ensure you leave us with an up-to-date phone number for where we can reach you and an email address. It is a requirement that every person who works in this practice love animals. Rest assured that we will provide your beloved pet with special care and attention. You will be able to enjoy your time away knowing that your animal is comfortable and well-cared for with us. Please contact us to inquire about our boarding fees and to answer any questions you may have. 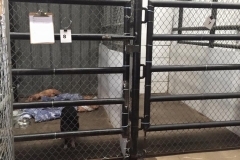 Also, please feel free to come visit our kennel prior to booking your animal in.